Hidden in the heart of one of the most beautiful, unspoilt towns in The Nilgiris, The Realm is one of the most special places to stay. Your experience at The Realm begins with the drive to the property, through the beautiful ghat roads in between mystical forests. At The Realm, you will be transported to a magical world, surrounded by magnificent view of tea estates and shola forests, with minimal human settlement or vehicular traffic. We have three cottages, Riverrunn, Sunspear & Winterfell. 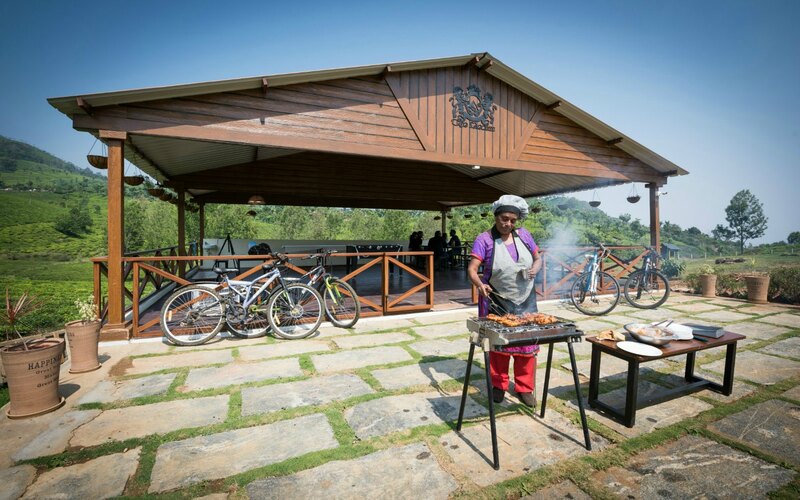 The Realm Resort is located 17km from Coonoor and 26km from Ooty. The Realm is the place you should be if you want to disconnect from the world and spend some quality time with nature. Whether you choose to curl up with a good book from the library, enjoy afternoon tea, soak in the bounteous nature around you or simply relax in your luxurious room – an indulgent mix of the classic and contemporary awaits. Converted from a tea estate, each of our 3 cottages have been individually designed with your comfort in mind and feature those thoughtful little touches which makes it a true home away from home. We visited this place last weekend and the experience we had is simply awesome! Nikhil, the owner is an excellent host and made sure to call us before and after our stay to make sure if we were doing good. Surrounded by beautiful tea gardens the balcony was a beautiful spot to watch the sunset. The caretakers were very friendly and hospitable. They have a lovely labrador dog who is as loving. We’re sure to visit The Realm for a longer duration and experience real country life. We’re so glad to have stayed at the Realm. The kids were fascinated with the bunny rabits they have on their property. They even got friendly with the over friendly Labrador. A beautiful place to stay, I highly recommend it. We were pampered during our stay here which we all will miss very much. The caretakers are sweet and took care of anything we wanted. We’re defintely coming back soon. We celebrated my birthday at the Realm along with my friends and their family. The food prepared was fantastic. The Realm doesnt feel like a resort, it quickly gives the feeling of being at a home away from home. We thank the owners for having taken care of us. Beautiful property at a wonderful location. When you visit The Realm we are certain that you fall in love with our little kingdom. Give us a call and we shall take care of your bookings and your stay here.